The local restaurant scene is hopping, and it&apos;s our good fortune that there seems to be a new eatery opening every other week. Here are a couple of the latest ones with delicious cuisine. This hip, new pub on Ryan Street has everything going for it. It&apos;s kid-friendly, pet-friendly, in a terrific setting along a bustling section of Ryan Street, has great grub, and even features live entertainment that typically showcases local musicians. While you&apos;re waiting for your meal or for the entertainment to begin, you can also enjoy playing darts or other games. 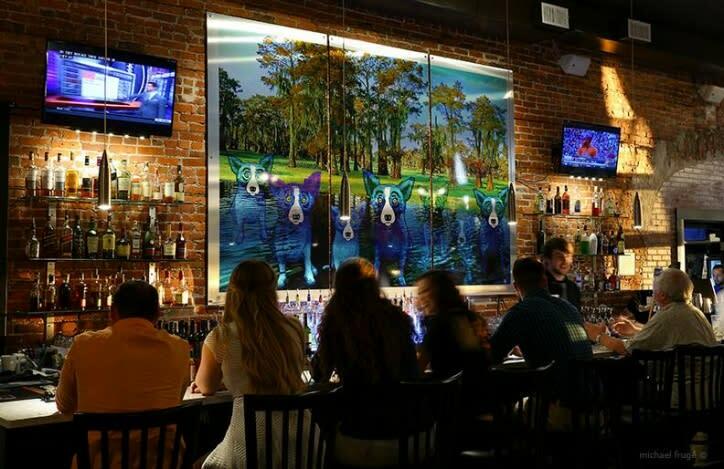 A mouth-watering menu, various beer selections, and a laid-back ambiance with a spacious outdoor patio, game area, covered outdoor bar, and a large, indoor dining area draw patrons in and keep the place packed daily for lunch and dinner. The menu includes such fare as shrimp tacos, ahi tuna, grilled shrimp pasta, Angus ribeye, and blackened chicken pasta. The Jockamo salad has been a big hit for Rikenjaks with its softshell crab, avocado, tomato, onion and chives over a spring salad. You won&apos;t run out of hamburger options here, and one favorite is the "Chuck Vegas" (fried eggs, angus patty, fried pickles, cheddar cheese, and chipotle mayonnaise). A weekend brunch menu is in the works. Check the Rikenjaks Facebook page or its website at www.rikenjaks.com for up-to-date entertainment listings. 3716 Ryan St. Open daily 11 a.m.-2 a.m. This is a fun and lively restaurant with a casual atmosphere. Yes, it definitely has the look and feel of a genuine fish camp and the cuisine to go along with it! Food choices range from delicious grilled fish tacos and savory gumbo to tasty shrimp & grits and New Orleans Barbecue Shrimp. 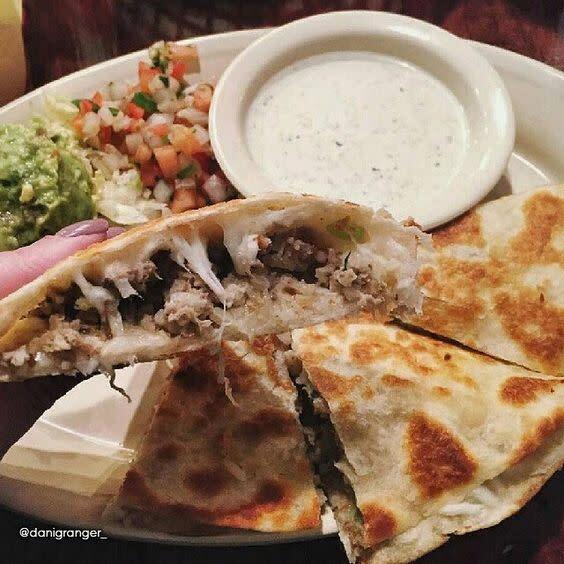 But, there are really just two words that you need to know when it comes to the menu: Boudin Quesadillas. Think grilled smoked boudin with oozing melted mozzarella and green onions folded in a grilled buttery tortilla served with guacamole, pico de gallo, and jalapenos. Opt for that item, and you will thank me later! Want to try a healthy but tasty choice? Order up the shrimp and veggies which comes with six jumbo shrimp served with sautéed zucchini, yellow squash, red and green bell peppers, and red onions served over chicken rice with mango salsa. Or, you can do something super cool and walk right in and bring in your own catch of the day. Allow the chef at Tia Juanita&apos;s to cook it up for you! Just make sure to clean it first. And, that&apos;s no fish tale! While you&apos;re waiting for your meal you can enjoy browsing the works of local artists and photographers that are on exhibit. There are so many more new restaurants around town like Blue Dog Café, 1910 and Delta Down’s Rosewater Grill & Tavern. Have you tried Rosewater’s sliders or street tacos?!? 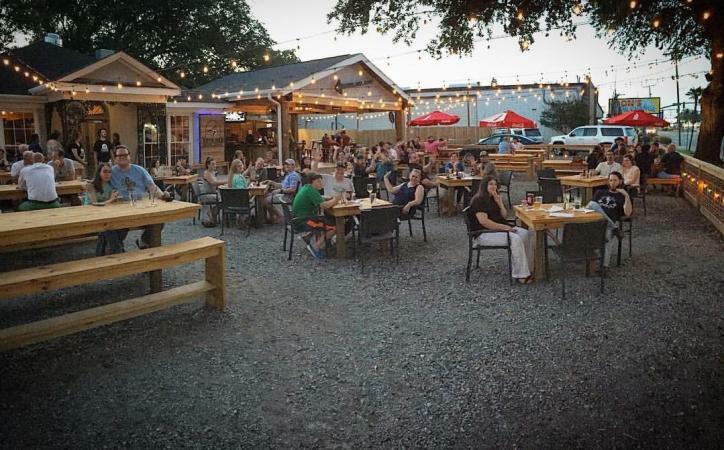 The newest brewery in Lake Charles, Crying Eagle, is now open and has a special spot for local food trucks. It’s hard to keep up with them all! For more information on our culinary scene, go to http://www.visitlakecharles.org/restaurants/. What’s YOUR favorite new restaurant in Southwest Louisiana? Lisa Addison is a freelance writer and photographer who always sees the glass as half full! She loves everything about Southwest Louisiana, especially the mild weather, scrumptious food, and friendly people. She resides with her two children in Lake Charles and the three of them look for any excuse to go exploring. You might spot them at a couple of their favorite places - Pintail Wildlife Drive and Sam Houston Jones State Park! You can follow her on her Facebook page at Lisa Addison Photography.